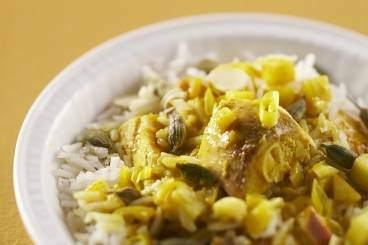 Tender chicken cooked in a creamy coconut curry sauce served with traditional basmati rice. Green chicken curry made with ginger, lemongrass, chilli, basil, limes, coriander, spring onions and chilli pepper. 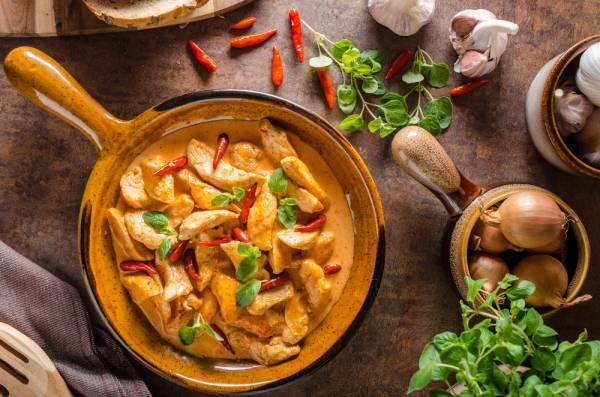 A quick and easy recipe for a Thai green curry with chicken served with egg fried basmati rice. Crisp brick pastry parcels filled with chicken marinated in coconut milk, with fresh coriander, spring onions and curry powder. A fragrant chicken curry and served with cardamom scented rice. This chicken and mango curry is a delightful Indian recipe that is full of flavour.